Everyone knows that inventions can revolutionize and improve our lives in immeasurable ways. Trains, cars, and airplanes have transformed the way we travel, while the printing press, telephones, and computers have expanded the ways we communicate. On the other end of the spectrum are wildly successful ideas that don’t do much of anything except make us wonder, “Heck, why didn’t I think of that?” So while it’s often said that necessity is the mother of invention, these exceptions have demonstrated that with some clever marketing and a little bit of luck, "necessity" is far from necessary for an idea to be successful. In a way, fidget spinners are emblematic of a generation searching relentlessly for a good distraction. Though there are a plethora of high-tech gadgets that can easily feed this need for constant stimulation, these simple plastic toys have become surprisingly widespread. The design consists of a ball bearing center with flat, spindly lobes attached. With a simple flick, it can be spun around the axis, providing instant stress relief. Some sellers are even marketing them as a way to ease anxiety and help calm those experiencing neurological disorders like ADHD and Autism. Fidget spinners experienced their first wave of popularity in April of 2017 and have since become ubiquitous among school children. Several schools have moved to ban the toys, citing them as overly-distracting to students. According to a survey of the 200 largest American high schools, nearly a third have banned fidget spinners. Who invented this seemingly innocuous yet controversial toy? The answer isn’t quite clear. Credible news reports have credited a chemical engineer named Catherine Hettinger. Records show that Hettinger filed for and received a patent application for a "spinning toy” in 1993. However, Hettinger wasn’t able to find a manufacturer and the patent lapsed in 2005. Hettinger has claimed credit for the invention, telling CNN that she thought of the idea after watching children throw rocks at police officers during a recent trip to the Middle East. NPR reported that an IT worker named Scott McCoskery, who fashioned and sold an early version online called the Torqbar in 2014, may have inspired a barrage of copy cats found on the market today. Another popular “fidget” toy on the market is the Fidget Cube, which features a different form of sensory distraction on each of its six sides. Even if you don’t own one and maybe never will, you’ve probably heard of the Pet Rock. In 1975, it debuted as a hot gift idea during the holiday season and by 1976 sales were in the millions. More importantly, it made inventor Gary Dahl a millionaire and proved that even the most gimmicky of ideas can become a huge hit with the masses. Dahl initially came up with the notion of a “pet rock” after hearing his friends complain about their pets. At the time, he joked that a rock would make the perfect pet since it was so low maintenance that it didn’t need to be fed, walked, bathed, or groomed. Nor would it ever die, get sick, or disobey its master. And as he thought about it more, he felt he may actually be onto something. 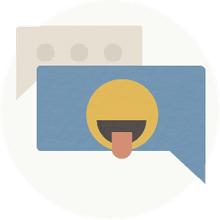 So he started to cultivate the somewhat kooky concept, first by putting together a humorous instruction manual titled “The Care and Training of Your Pet Rock,” which detailed how to bathe, feed and train the rock. Next, he began manufacturing boxes that the rocks would come in. Most of the costs came from all the extraneous materials that went into the package. The actual rocks only cost a penny each. The success of the Pet Rock garnered Dahl a lot of attention. He would make appearances on the “Tonight Show” and his idea even inspired the song “I’m in Love With My Pet Rock,” by Al Bolt. But the sudden fame also made him a target of threats and lawsuits. He found the negative attention so bothersome that he would avoid doing interviews altogether. The Pet Rock became available again on September 3, 2012 and can be ordered online for $19.95. Ch-Ch-Ch-Chia! Anyone who was around during the 1980s remembers those silly commercials, along with the catchphrase for the one and only Chia Pet. They were essentially terracotta figurines of animals and household pets, as well as busts of different famous people and characters. The twist: the statues grew chia sprouts to mimic hair and fur. The idea belonged to Joe Pedott, who created and sold the Chia Guy as the first Chia Pet on September 8, 1977. He later filed for a trademark on October 17, 1977. It wasn’t until the 1982 release of the Chia Ram that the product became popular and somewhat of a household name. Since then, the Chia Pet product line has included a turtle, pig, puppy, kitten, frog, hippopotamus, and cartoon characters such as Garfield, Scooby-Doo, Looney Tunes, Shrek, The Simpsons, and SpongeBob. As of 2007, about half a million Chia Pets were sold annually during the holiday season. 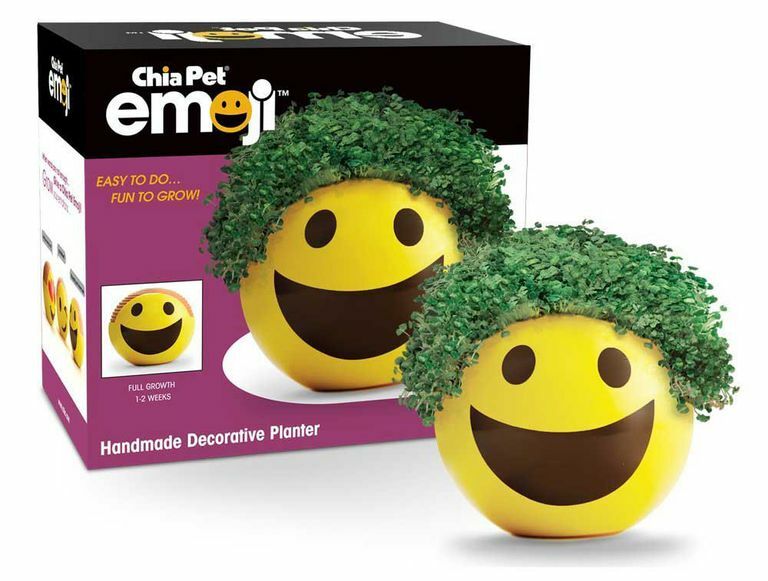 Joseph Enterprises currently has several licensing deals and offers a wide range of figurines that have enabled Chia Pet products to achieve a sort of perennial popularity. There’s, for instance, Chia heads, which depict famous figures such as former President Barack Obama, Bernie Sanders, Hillary Clinton, and Donald Trump. For nature lovers, the company Joseph Enterprises also offers various Chia Trees, Chia Herb, and Flower Gardens. When the Mood Ring debuted in 1975 it fit right into an era best remembered for recreational drugs, lava lamps, and disco. There’s just something sublimely groovy about jewelry that purportedly changes color to reflect the wearer’s mood at any given time. Of course, the concept was more of a fanciful gimmick than anything else. The thermotropic liquid crystals used in mood rings change color in response to changes in body temperature. And while changes in mood does affect body temperature, there is no correlation between, say, the color red and being upset. Inventor Joshua Reynolds marketed them as “portable biofeedback aids” and was able to get the department store Bonwit Teller to carry the product as part of their accessories line. Some rings sold for as much as $250, a hefty price tag at the time. Within months, Reynolds made his first million and turned them into a trendy fashion item among celebrities such as Barbra Streisand and Muhammad Ali. Though the mood ring is well past its heyday, it’s still fairly popular and sold through several online retailers. On the surface, the premise of a blanket with sleeves can be quite practical. It frees up the wearer’s arms to do things like flip through a book or change the television channel – all the while keeping the entire body snug and warm. But there was something else about Snuggie that would inevitably make it a pop culture sensation. It started with the direct marketing advertisements. Commercials and ads depicted people comfortably lounging around, all seemingly unaware of how ridiculous they looked. It was about as creepy as it was comical. Some have described it as a backwards robe and others likened it to a "monk's ensemble in fleece." Before long, an entire nation was suddenly swept up in the craze. Groups of people came together and formed Snuggie cults and put together events such as pub crawls and house parties. Celebrities and public figures would get into the act and put up photos of themselves online posing in their Snuggie. By 2009, four million Snuggies were sold and the company behind the product followed up with separate versions for kids and pets. Several companies have since started putting out their own knock-off sleeved blankets. One version sold in Germany, called the Doojo, features sewn in gloves, while others sold abroad come with pockets for storing items such as a cell phone. There are also variations with themes based on comic book superheroes and cartoon characters. It’s not hard to find people who believe they have a big idea or two that can make them millions. But the reality is that it’s hard to know what would really catch on. Sometimes even the best and most well-intentioned ideas fail, while the most unlikely and silliest ones turn out to a be huge winners. So the takeaway here is you never will know until you try.